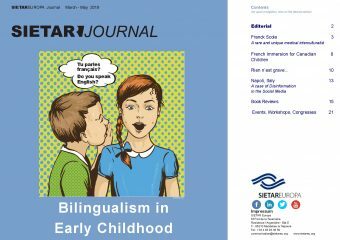 an interview of Franck Scola, member of SIETAR France and a specialist of childhood bilingualism. He provides us with an absorbing overview on how identity and language acquisition in early life go hand-in-hand. our Canadian correspondent Dan MacLeod writes a French-English parable, offering an excellent example of how Canada’s efforts to generate bilingualism can work. Burning Question: What intercultural icebreaker and game/activity work best to provide group learning in intercultural programmes? Read recap and see photos from the CCC Break with Rosemary Gorman Morley and Gradiola Kapaj here! Burning Question: How can we change and reinvent male roles in today’s diverse generational cultures? Read recap and see photos from the CCC Break with George Simons and Joanna Sell here! For general information on the Intercultural Book Series, please contact communication@sietareu.org. Burning Question: What does persuasive communication in different cultural and professional contexts mean? Read recap and see photos from CCC Break 5 here! Burning Question: How do I reach those who are convinced there is no such thing as national culture influence, only different personalities? Read recap and see photos from CCC Break 4 here! 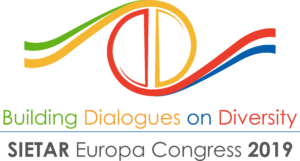 Burning Question: How to approach difficult topics on specific culture training (for example using European toilets for Indian employees)? What are other topics which can be described as hot and subtle? Read recap and see photos from CCC Break 3 here! Burning Question: Is CC training still relevant with managers who were Third Culture Kids? Read recap and see photos from CCC Break 2 here! Burning Question: What are useful tools/attitudes for a facilitator/trainer to deal with different hierarchic levels inside an intercultural training group? Read recap and see photos from CCC Break 1 here! At SIETAR we want to encourage the development and application of knowledge, values and skills which enable effective intercultural relations at individual, group, organisation and community levels. Inspired by many discussions in the SIETAR network, the idea of publishing a collection of SIETAR intercultural training tools came to light. 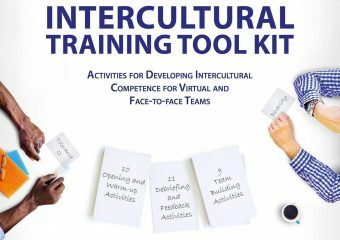 Many large intercultural organizations include a collection of articles, activities, and materials, and our intention was to create a consolidated resource of SIETAR members´ favourite and most effective tools and methodologies. We proudly present the second edition of the SIETAR Europa Intercultural book series: SIETAR Europa Intercultural Training Tools. We learn best from what we teach! Every moment in a training setting is an opportunity for everyone in the room to reflect on and develop their own intercultural competencies. How we learn about navigating culture is shaped by our professions, travels, and personal interests. With this publication we want to support your learning environment by publishing selected go-to training activities from SIETARians for virtual or face-to-face teams that integrate modern technologies and emerging practice styles with materials and instructions. Check out the official SEU Tool Kit Facebook Fan Page.